scornful beauties prate on their lives before you ruined it. The auburn hue leaves that fall in autumn are the reflection. the pain that is interfaced will be molded as its raked..and thrown into trash bags for pick up on mondays. I thought maybe I would have learned a lesson yet I’m always surprised every time I come back to this. The soul doesn’t leave room for the troubles of revolutionary art. But as I look upon this season, knowing this too shall pass, I see more than weather changing. I see green eyes, brown lies, red quivered lips and the muffled orange cries. Yet no one cares to see these injured tears adding to the sorrow that comes with love… or rather perhaps the addiction to the expressive similes I see in my dreams. I somehow live there. But I presume bruised women don’t know no better, we only see whats clear. 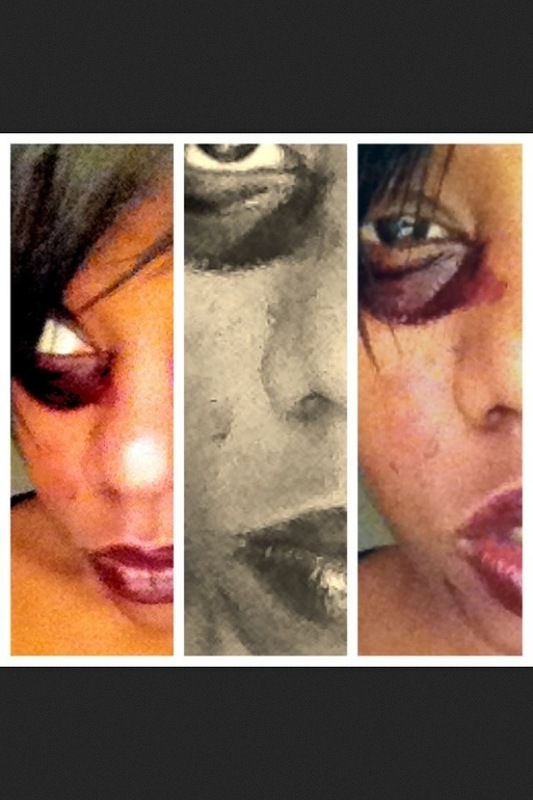 This was an illustration of paradoxity of being bruised. I love to go somewhere where its not being taken. That’s the makeup of my poetry, I guess. And when I mean “i guess” means something will be protruded tomorrow.